Oviedo is a wonderful place to call home, but just like anywhere else, even it isn’t immune to the dangers of rat infestation. These nuisance critters have a habit of nesting in our attics, creating all sorts of headaches and wreaking havoc on our properties. What’s more, they commonly carry infectious diseases that put you and your family in harm’s way. Getting the rats out in an efficient manner is critical to living a clean and healthy life while ensuring the safety of your loved ones. Have the potential to transfer dangerous infectious diseases to you and your family. The most commonly transmitted being leptospirosis, Hantavirus, and rat-bite fever. 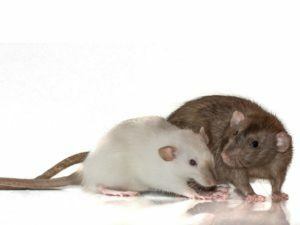 If left unaddressed, rats in your home will reproduce and continue to damage your belongings until something is done. DIY rat removal products are ineffective and can put your family at risk. Without professional assistance, rat removal can be a frustrating and nearly impossible task to undertake on your own. For being such pests, rats are very intelligent creatures, which makes them even more difficult to capture. Another downside to trying to remove rats on your own is the potential for injury. Rats have a habit of becoming aggressive when they feel threatened or cornered, which can result in injury. If you’re in the Orlando area, and rats have turned your home into their nest, the rat removal experts at Critter Control® of Orlando can help. We can safely and quickly remove any nuisance rats from your home, and repair any damage they may have caused during their stay. Call us today at 407-295-7194 with any questions.